Get exclusive insight into our brand measurment research process including the three essential components we narrow in on to determine the value of your brand. Whether you're looking for ways to improve your brand impact, or trying to determine the value of a brand you'd like to acquire, our research can help you meet your goals and objectives. 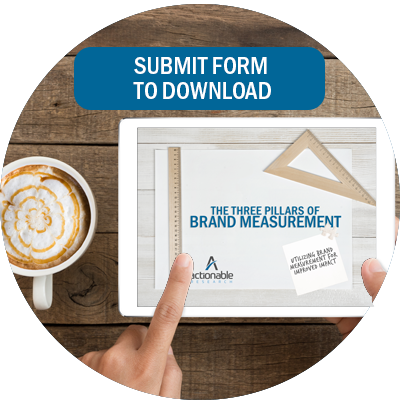 For more information, fill out the form to the right and download our eBook, "The Three Pillars of Brand Measurement Research."